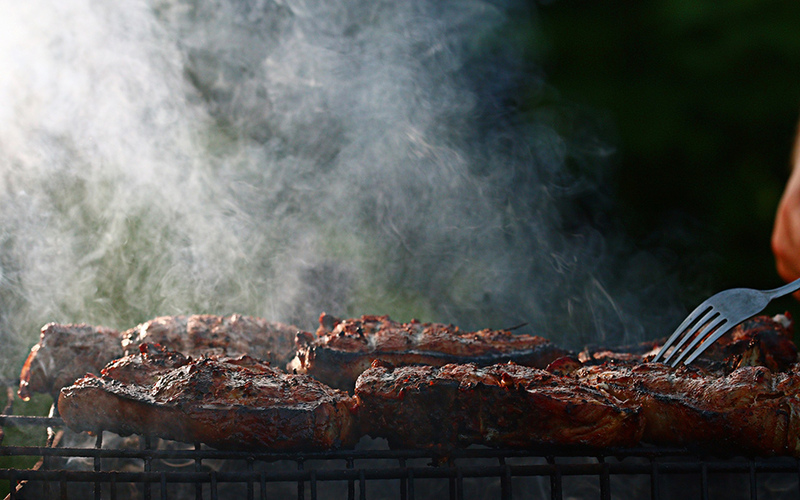 On Tsiknopempti, you can expect the air to be thick with the barbecue smoke that gives the day its name. 'Tsiknopempti’ rituals will live on for as long as meat eaters and good barbecue chefs are around. The three weeks leading to Lent (Sarakosti) each have names. In older times, Profoni, the first of these weeks, heralded the approach of carnival season (Apokries). The second and third weeks are named Kreatini and Tyrini, which derive from the Greek words for meat and cheese respectively, as these were the foods the church allowed the consumption of during these weeks even on Wednesdays and Fridays, traditionally days of fasting throughout the year for Orthodox Christians. Tsiknopempti, literally meaning “smokey Thursday”, lies in the middle of Kreatini, the meat-eating week, and has long stood as a favorite annual celebration for Greeks, who adore meat dishes. On this particular Thursday of each year, outdoor barbecues are set up everywhere and anywhere throughout the country: in neighborhood squares, church courtyards and by the roadside, the result being that the smell of grilling meat pervades the air (the ‘tsikna’). Many cafes, delicatessens, restaurants, tavernas, and grocery stores, as well as private households, traditionally grill meat on this smokey Thursday. In the past, even poorer families struggling to make ends meet, could be expected to grill meat for the occasion. For them, upholding the tradition was proof to their neighbors of their grit and equal standing in society, while also serving as a morale booster for the family during an era when poverty was closely associated with malnourishment. Once the meat was grilled and accompanying dishes prepared, family members would gather around a table to eat, drink, dance and sing in celebration of the carnival season. Though “Tsiknopempti” has nowadays largely lost its religious dimension for most Greeks, the ritual remains strong and is widely celebrated by hordes of meat enthusiasts, families, couples, and friends. Traditional Greek tavernas – those with paper table cloths, copper wine jugs and an overall down-to-earth atmosphere, become major draws on this day. Some even offer live music performed by small groups, usually featuring guitar, bouzouki, and vocals. For locals, the evening is taken as an opportunity to catch up with friends or family and an excuse to indulge in an overabundance of meat and accompanying side dishes. Most tavernas typically fill up on Tsiknopempti, pushing workers at the grill and waiters to their limits. As such it is often best to avoid central, well-known tavernas as the quality of the service quality is likely to suffer due to the crush. Reservations are often necessary several days in advance, even at unassuming local hangouts. A better option for good-quality meat may be the tavernas a few kilometers outside of Athens, but expect them too to be packed and noisy. Certain outer suburban areas and their tavernas are renowned for their meat offerings. Hasia, on the western side, is a great district for juicy lamb chops and exohiko (details below), while Kalyvia, on the city’s eastern outskirts, is renowned for its traditional tavernas serving steaks, chops, and biftekia (seasoned mince patties), all on the grill. Expect to find various meat-on-spit variations at the Palia Penteli square in northern Athens. These include pork kontosouvli, kokoretsi, pork roll, and lamb, all prepared in ways that are also customary in Greece during Easter celebrations. In nearby Melissia, two tavernas enjoy good reputations for their rib steaks, while Kantza, near the airport on the capital’s northeastern outskirts, is a favorite destination for Athenians wishing to enjoy T-bone steaks. Potato fries, tzatziki, tyrokafteri (spicy cheese spread), Greek salad, small cheese pies, and various meat dishes such as keftedakia (meat balls), pork and beef sausages, kokoretsi, and grilled liver are customary side dishes. 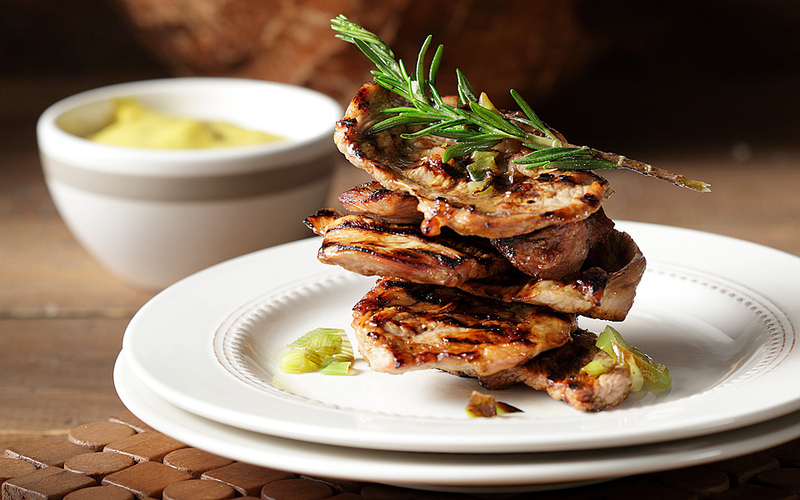 Also, lamb sweetbreads and other specialties are ideal accompaniments for rich, red wines. Beer and budget friendly barrel wine served by the jug are typically consumed on the night. Some spots offer micro-brewery beers, produced both on the mainland and islands. 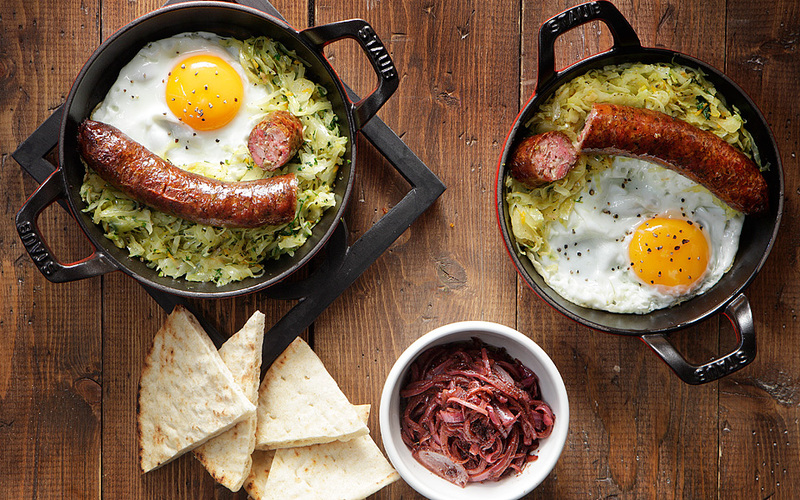 Sausages are ideally prepared on the grill, but traditional tavernas sometimes use frying pans. That said, aside from tavernas, these days dedicated meat-lovers increasingly seek out great cuts at the growing number of high-end steakhouses and restaurants dedicated to quality meat. In the capital beef can be found from all over the world, and from pedigree animals raised exclusively on either grain or grass. Dry-aging meat for weeks or even months is also increasingly fashionable. At these meat-focused restaurants you can choose the cut of meat you would like, the breed of cattle you prefer, how long you want it to have been aged and, of course, how you would like it cooked. The key goal is for the meat to be rich in intramuscular fat which provides a rich, deep flavor. The well-trained servers will also be able to guide you to the perfect cut of meat, depending on your desires. Click here to read about Athens’ best grill-houses. Exohiko: Various meat pieces with pepper, tomato, and spices, all wrapped in greaseproof paper and slowly cooked, either in the oven or on the grill. Certain recipes include kaseri or graviera cheese. Kebab: This kebab is different to the kebab made famous by Turkish eateries around the world. It is made with spicy mince of various types. It can be made using beef, pork, a mixture of the two, or lamb. The mince is rolled extensively, making the resulting kebab softer than biftekia mince patties. Garlic may be included. It is grilled for ideal results. The well-known “Adana” type kebab, a recipe of Turkish origins, is quite spicy. Kokoretsi: Pieces of liver, kidneys, lungs, usually from lamb, wrapped in intestine and grilled on a spit. Its exterior is crispy. Kontosouvli: Depending on the area, this meat-on-spit offering can be made using pieces of lamb, pork, or a combination of both, while chicken is also commonly used. The mid-sized meat pieces are seasoned and slid onto a medium-sized spit. Some enthusiasts add fresh tomatoes or peppers between the meat pieces for extra flavor. Brizoles (steak): Beef or pork steaks. If dining at a taverna, individual requests for steaks preferred well-done, medium-well, medium, medium-rare, or rare, will most probably be ignored at the grill. Such requests tend to be met only at restaurants and tavernas specializing in grilled meat. Well-done meat is the standard in Greece. Loukanika (sausages): Sausages prepared in Greece are nothing like German or Austrian recipes. Sausages here are made using coarsely-mashed meat, either pork, beef, or both, usually with leek, garlic, as well as strong spices such as paprika. Ideally prepared on the grill, but traditional tavernas sometimes use frying pans. Tigania: Pronounced by accentuating the “a” of the last syllable, this meat recipe is based on boneless meat pieces, usually lean pork or chicken. The rest of the recipe depends on each chef. Ask for details.